Which distro offers the best experience? 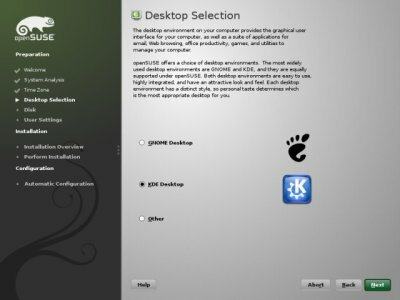 There are hundreds of Linux distributions available worldwide, kitted with an infinite number of kernel/desktop/applications combos, each offering a unique perspective and usage model. Still, true to the Pareto principle, most of the Linux desktop belongs to a very small number of distributions, including mainly Ubuntu and its derivatives, Fedora, openSUSE, Mandriva, and a few more. Hop over to DistroWatch and see for yourself. So the big question is, what makes these distros so popular, or better yet, preferred over other candidates? Ultimately, which one offers the most complete all-round experience of all? In this article, I've taken five most popular distributions and tested them one against another across a range of categories, trying to pinpoint the one that suits me best. You will note this is an entirely subjective experiment, completely subjugated to my own taste and need. Nevertheless, I hope my test will still be impartial enough for you to consider it when choosing your distribution. I will present each one briefly, link to long and extensive reviews I've written and summarize the pros and cons. Finally, I'll sum up the points and declare the winner to this challenge. Ubuntu has a very powerful and fast package manager, APT in the backend, with Synaptic in the frontend. It's very easy and safe to use. Being the most popular distribution around, Ubuntu enjoys the privilege of having many new Linux programs written specifically for it. Ubuntu is relatively light on resources and easy to master, offering Windows users a painless path into the world of Linux. Security wise, it ships with solid default settings, including no open ports. You also have sudo and no root enabled. 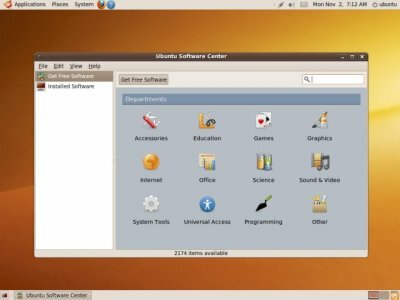 Ubuntu deviates from many Linux standards, creating its own unique set of rules that are out of compliance with the rest of the UNIX-like world. This includes the way the system is managed and services are run. Another big problem is the very short release cycle, usually ending in many bugs and broken packages. The worst part is that things that used to work break, creating a torrent of problems to existing users. Fedora is a fast distro and a technology leader. Most of the new technologies in the Linux world go through Fedora first. Hardware detection is quite good. Fedora also places high emphasis on security. Fedora is always on the brink of alpha-beta quality and is unsuitable for a production environment. It suffers from lots of crashes. It is also more geared toward experienced users. The default package selection is somewhat poor. Linux Mint 8 Helena review coming soon! This means that some of the findings in this comparison may not fully or correctly reflect the repertoires of goodies and baddies that Helena brings to the table. So stay tuned. Linux Mint is based on Ubuntu, so it derives the good stuff. What more, Linux Mint ships with proprietary codecs out of the box, allowing new users to enjoy stuff like Flash or MP3 playback out of the box. 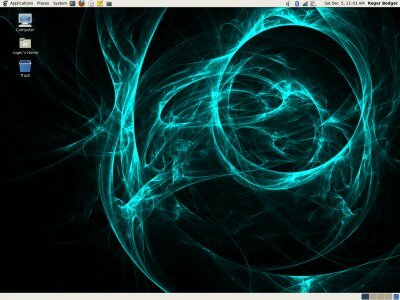 Linux Mint suffers from the same ailments as Ubuntu, due to being directly dependent on it. The distribution also has a smaller user base and support. openSUSE is a distribution funded by a Linux leader, Novell. This means the distribution is rather bug-free and well polished before any release. Lots of attention is given cross-platform compatibility and operability. The distro comes with a rich selection of programs. openSUSE package management is slower than Debian-based APT. Just for comparison, note that SUSE Enterprise editions use APT as the package manager! openSUSE can be a little more difficult to setup by newbies. 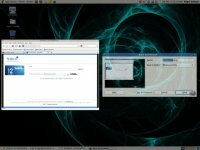 Mandriva 2010 is a very slick distro for every day use. It comes loaded with lots of great programs, 3D drivers out of the box, and proprietary codecs, allowing the home user an almost seamless experience instantly. While the distribution is well executed, it does suffer from some glaring QA issues here and there. Furthermore, the level of quality between releases fluctuates too much. The user base is also smaller than above counterparts. OK, we now know what our fighters have to offer. Let's see how all these compare across different categories, randomly chosen. How difficult is it to get the distro installed? How rich is the installer? How powerful and flexible is it? Well, when it comes to being safe, nothing beats openSUSE. It's as if a man is sitting there, making sure the default choices are right for you. Mandriva has the least friendly installer. Ubuntu and Mint share the simplest one, but it lacks features. Fedora is kind of neutral. Feature wise, openSUSE also has the most options available. The Wow factor is the one that blueprints its pattern onto your retina in the first three seconds of use. The moment you launch the desktop and start exploring. I must admin Mandriva looks phenomenal, but it's hard to beat the prophetic professionalism of openSUSE Gnome edition. Ubuntu looks slightly outdated. Mint and Fedora just feel ordinary. Fedora has undergone a downlift, with the stripping of its lovely theme and fonts from Leonidas to Constantine. I'd say, Mandriva KDE and openSUSE Gnome share the spot as the winners. Software management definitely belongs to the APT/Synaptic family, so Ubuntu and Mint are the winner here. While the rest follow gallantly, the speed and the ease of use are no match to the foolproof APT. Out of the box experience is what you most impatient, Ritalin-starved kid and the oldest grandma in the world would feel when given the distros for a spin. Out of the box experience includes all sorts of programs, codecs for proprietary stuff, access to gadgets, and whatnot. Fedora default set is weak. openSUSE has the most balanced set. Mandriva and Mint are the richest, with no clear winner. Security is a combination of factors, including the default settings and the addons. Ubuntu packs no open ports, sudo mechanism and AppArmor profiles in a decent package. Fedora ups that with SELinux, but it's quite aggressive and sometimes lashes back at the user. 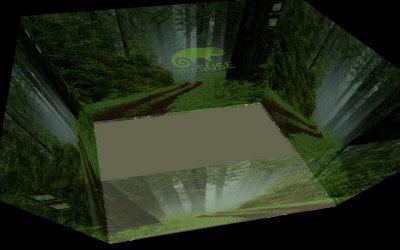 openSUSE ranks close to Ubuntu. Mandriva is the last here, although that's far from being bad. Simply less paranoid than the bunch, that's all. Performance combines boot times, memory usage, response time when launching applications, and finally, the ability to run lots of stuff all at once. In my test, Fedora used the least resources, closely followed by Mandriva. Kubuntu was quite heavy. openSUSE is in the middle range of the hunger scale. Ease of use is the ability of a clueless user to adapt. 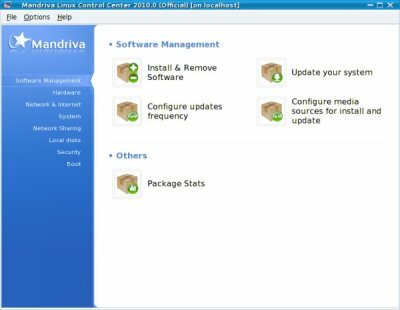 In this regard, Mandriva and Linux Mint are closely tied, with powerful centralized management and tons of great programs readily available. Stability refers to having your machine runs smoothly and flawlessly, without any crashes, without any programs breaking in between and after important updates. With the initrd bug and PulseAudio shenanigans, the Ubuntu family loses its vote of confidence. With dozens of kernel crashes in the matter of just a few sessions, Fedora definitely loses here. Mandriva is quite stable, but openSUSE is the definite winner, having the merciless vigilance of Novell behind it. Support is the combination of the release cycle, release support and the ability to find solution to problems. Ubuntu and openSUSE are tied here, with Ubuntu having a huge and friendly forum, whereas openSUSE milks from the big, professional, corporate teat. Cycle release and long-term support is an issue with all these, with Fedora being the worst, at only 13 months. The rest follow with 18 months of support. Winner: openSUSE and Ubuntu, tied. This refers to having 3D drivers available. Ubuntu has the restricted drivers feature, which is quite handy, but then it's only for new hardware. 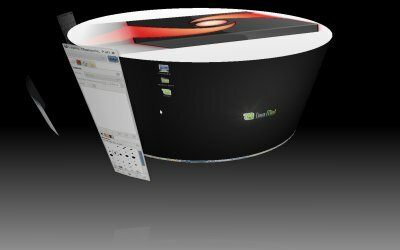 If you're running an old machine, you can forget about 3D driver support. Fedora has the drivers out of the box, but they are buggy. 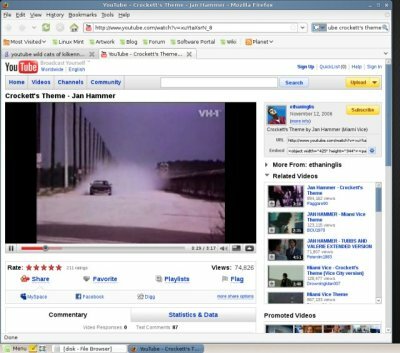 Mandriva offers a smooth experience, even on antiquated hardware. openSUSE has the repos for Nvidia, but no ATI support as yet. Here, we're talking Wireless, Bluetooth, Samba sharing, and proxy. Wireless and Bluetooth pose no issue to modern distro, but many fail the Samba and proxy support. Proxy wise, openSUSE leads, being the closest thing to corporate desktop. However, other more home-oriented distributions forget the fact most enterprise/corporate users will be running behind proxy. Samba sharing is the weak spot with Fedora, which blocks network access by default and requires tweaking the firewall rules - or turning them off - to get to network shares. Xubuntu, a Ubuntu derivate with Xfce desktop, fails miserably in the proxy category, ending with an infinite login loop when one is specified, to say nothing of the fact there's no GUI menu entry to set it, requiring command-line tweaking. Kubuntu was also less friendly when it came to sharing. 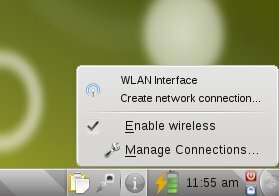 Fedora & Ubuntu, with 2 points. I do know I have not tested a number of other popular, successful distributions like PCLinuxOS, Sabayon, CentOS, and others, but I had to draw a line somewhere. While it is true that both PCLinuxOS and Sabayon offer phenomenal experience out of the box, they are still relatively niche distributions. Similarly, CentOS is the king of stability and support, but it takes time to configure for desktop use. 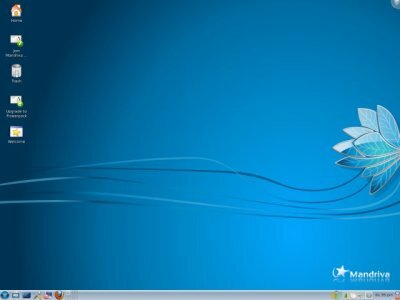 openSUSE installation, Sabayon desktop, Ubuntu software management, Mandriva out of the box experience, Fedora security, Puppy performance, Mint easy of use, Slackware stability, CentOS support, Mandriva graphics support, and openSUSE network support. Excluding reality constraints, then this what the Linux distribution ought to be. Now, not to keep the fans of smaller distros suffer with neglect, I've decided to list down the biggest pros and cons of several other Linux editions out there, which may not be in the top five, but are definitely high up and most worthy the consideration. This applies for distributions I've tested, that is. Place 6: Debian - not reviewed yet at Dedoimedo, but coming soon. Place 7: Puppy - king of speed and customization, extremely versatile, the ultimate live CD distro, light on resources, great dial-up support, not suited for installations. Place 8: Sabayon - an amazing live experience, tons of programs, some stability issues, very demanding on the resources, based on Gentoo, so the internals are frightening. Place 9: PCLinuxOS - Fantastic live CD experience, an almost perfect mix of programs, small userbase, development problems on and off. 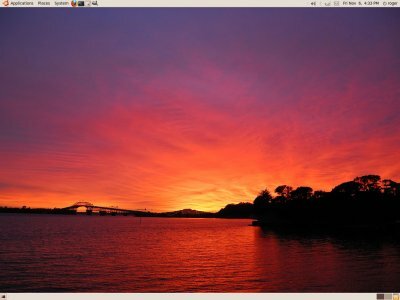 Place 10: Arch - Not reviewed, a minimalistic distro for very experienced users. Place 11: Slackware - An old timer for more experienced user, ultra-stable, somewhat spartan and difficult to setup. Worth checking derivatives like Wolvix and Vector. Place 12: FreeBSD - Not Linux really. Place 13: CentOS - Excellent support and stability, the traditional Linux in every sense, ideal for running servers, somewhat outdated by home standards and more difficult to setup. Place 14: Mepis - Solid, average, rounded distro. 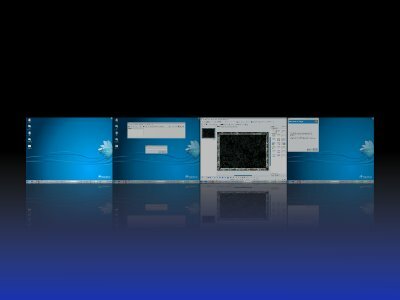 Dreamlinux - slick looks, excellent multimedia support, difficult installation. gOS - Ubuntu derivate loaded with Google stuff, Mac-OSX-like desktop. And that's it, I'm spent! There you have, Dedoimedo has decreed that is the best overall choice for the average Linux user is openSUSE, effective end of 2009. Dedoimedo has spoke. It turns out that openSUSE is probably the best distribution for you. It has its ups and downs, but the bottom line, it's probably the most refined product of all, which is not surprising, given its roots. It's a business model shipped for free, after all. However, mileage may vary. If the most important thing for you is apt-get, then you will go for the Ubuntu family, if you hate Mono, then you won't be using openSUSE, if you must have security, it's Fedora for you. And so forth. But all combined, my verdict leans toward the green German lizard. Still, you have many other exciting candidates out there, do not forget them! You are more than welcome to dispute my decision, flame me, accuse me of fanboyism, or better yet, send a constructive counter-argument so I can include it in the article.